Covered in Stitches » Finished! and very pleased with how it turned out. 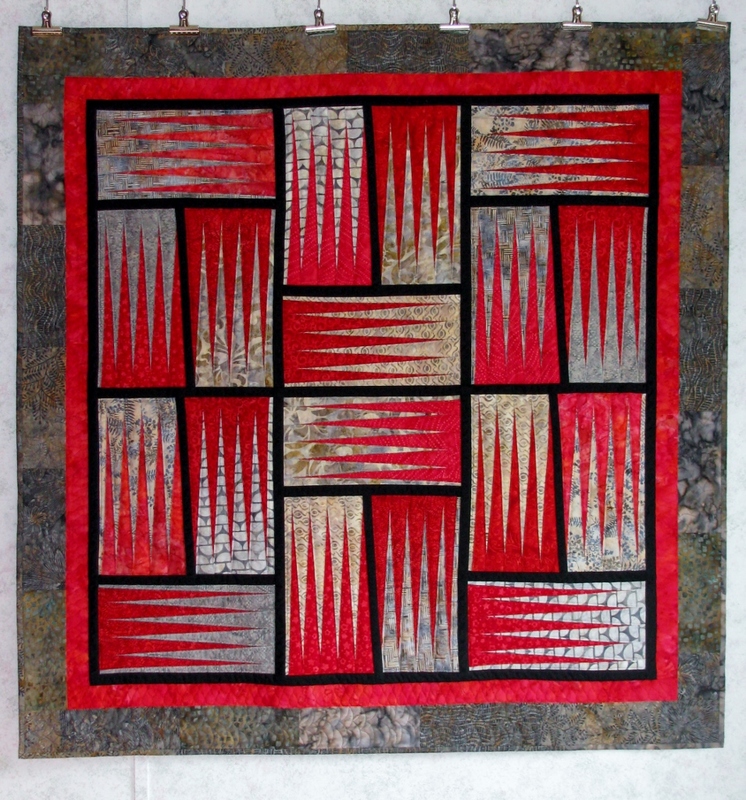 The machine quilting took longer than I anticipated because of the echo stitching around each red & gray spike. 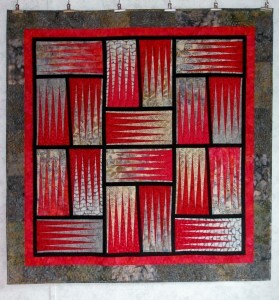 The pattern is called Cappuccino, but I am going to call my quilt Lava and Ash. Do you name your quilts? Now I need to get busy on a Christmas present quilt.